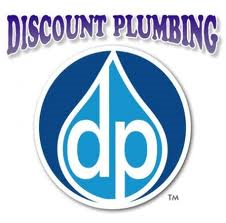 Plumbers in Merced at Discount Plumbing are now offering plumbing coupons and discounts to save people money this summer. Merced plumber service is available with a $15 OFF plumbing coupon expiring October 31, 2013. Plumbers in Merced at Discount Plumbing are also offering Modesto plumbing coupons in addition to the $15 Off Merced plumbing service discount. They are offering drain cleaning for $99 when a proper clean out is present. Discount Plumbing is also offering a new water heater installation special where they will install a new electric water heater for $690. A quick search for Merced plumber reviews on Google reveals that many people feel gouged by the plumber they hire. “We strive for 100% complete customer satisfaction because 90% of our customers are repeat customers. We know if we treat people right they will come back to us for all of their plumbing needs,” says Kyle. One of the most popular plumbing service discounts currently being offered by Discount Plumbing is their $99 drain cleaning coupon. “Every time we offer drain cleaning for $99 we get a huge response. A lot of the calls we get are from people who called a plumber out for service and the price much higher than advertised,” says Kyle. Discount Plumbing of Merced is also currently offering a coupon for $200 off of a new tankless water heater. The coupon is applicable to removal of the old water, installation of the new water heater and any associated water or gas lines. “When the hot water isn’t working people usually want to get it fixed as quickly as possible but they don’t want to get gouged. We send an experienced Merced plumber on site. Our goal is to see if we can fix the water before just replacing it. If a new water heater is needed or the customer wants to upgrade to a tankless hot water heater we provide a free estimate for the installation,” says Kyle. To learn more about the Tracy plumber at Discount Plumbing visit their website, watch their videos, read their press releases or read their many positive online Merced plumber reviews on respected consumer review sites like Google, Yahoo, Yelp and Angie’s List. People are also invited to call them to schedule Merced plumbing service.